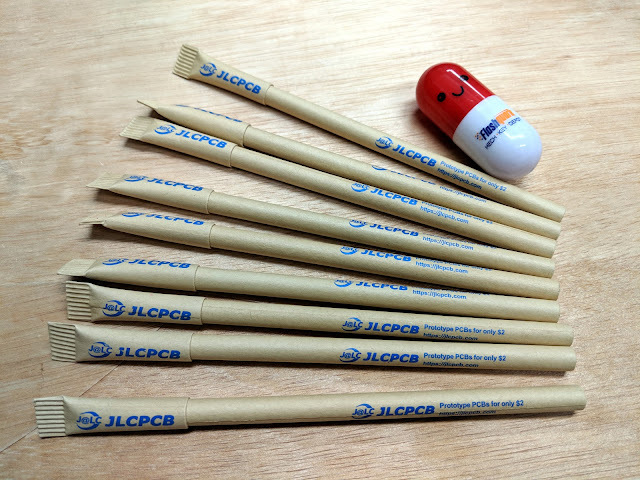 EasyEDA/JLCPCB have been sending a pen with each order. The collapsible "Pill" pen is from Flashquark. JLCPCB stopped including a pen in the last few orders I've received. They must have run out.